Do you know : SMS service can increase new business leads and retain existing customers for long time resulting in more business ? Yes, this is true. If you are not using Bulk SMS service in your daily work strategy then you will be left behind your competitors in your trade. More customers means more business. Today smart phones are always in palm or within reach of palm of every man and even a single beep or vibration attracts attention of the mobile holder and compels him / her to see the notification. In 90 percent cases, people see the notification immediately. This way no sms is left unseen. Effective SMS contents can this way increase new business enquiry. From the cost point of view, SMS sending to your prospective customers is cheapest and easiest medium of marketing as it costs approx 5-8 paisa per sms only and it takes not more than 1-2 minutes to deliver to the phones no matter how far your targeted audiences are away from you. Through Transactional SMS service you can send new updates or notification to large customer base together within very short time. Message communication via SMS today builds your reputation among customers and also generate trust. 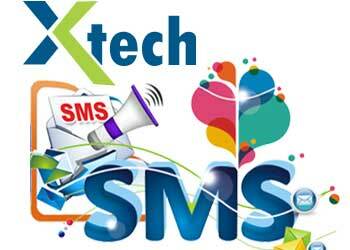 Promotional SMS service can be used for promotion of new service, products or launches. Voice SMS Service are used to populate your voice to friends / families / prospective clients etc. At Xtech Bulk SMS Service provider in Patna, Bihar, we have set an example for what we have quoted above in this article about importance of Bulk sms service in growth of any business. In the period of mere 12 months we have attracted more than 200 new customers in our business. We train and educate our customers about how use of bulk sms service can add value to their business growth and save time as well as increase efficiency of human skills working in any organization. SMS API and Gateway service can be integrated in websites, softwares or online applications to automate the communication process. Thus it saves time and money both. It can minimize the chance of human mistakes as this service can be scheduled for later date and time. If it is Sunday or holiday and your notification must reach your audience then just schedule it earlier and no need to worry for the delivery. Our technical expertise and IT infrastructure in Patna, Bihar has lead our customers do their main business work without worrying about the SMS tech-flows provided at Xtech Bulk SMS service in Patna. What type of SMS you are looking for your business ? Transactional SMS ? Promotional SMS ? OTP SMS ? SMS API ? SMS Gateway ?